Papaya is one of the more exotic fruits around. 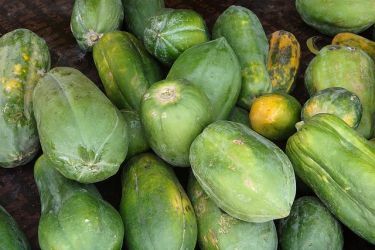 But if you’re willing to give this weirdly shaped fruit a try, you’ll quickly notice that it’s not only delicious but the benefits of papaya juice offer quite a bit for health. 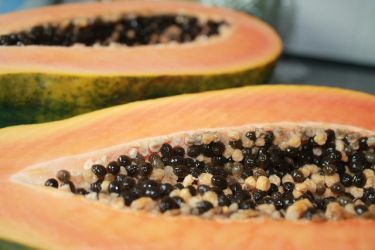 Papaya can be consumed by eating the fruit or turning it into juice. The juice version takes a bit more preparation, but it lets you enjoy a nice ice cold refreshing drink anytime. Plus, it’s a quicker and easier way to more nutrients, since you can drink more than you can eat. Papaya, papaw and pawpaw are all the same fruit. The fruit is covered by a green skin that becomes yellow when the fruit ripens. The inside of the papaya is orange yellow in color. It has small black seeds in the middle. These seeds are sometimes eaten, discarded or dried for replanting depending on who you ask. Papaya is considered among the healthiest foods thanks to the nutrients it contains. In addition, it is low in calories, doesn’t contain any cholesterol and a good source of dietary fiber. and 5% of our vitamin E daily RDA. Let’s not forget the enzymes this fruit is known for such as Papain and Chymopapain. Anyone who is nutritive conscious can readily see the effects this fruit juice would have on one’s body. Now that we know the nutritional value of papayas, the goal is to turn in into juice form without losing any of the nutrients. When it comes to making juice you have a number of options. The most popular, and convenient of which are using a juicer or a blender. Between the two though, we prefer using a blender. Juicers are probably simpler for some people because the machine gives you juice outright. With blenders you need to add water to get the texture you want. However, the biggest advantage of using a blender is you get all the fruit in. The blender slices and mashes the papaya fruit. This way you get all the nutrients including the fiber. Juicers meanwhile will squeeze out the juice leaving some of the nutrients in the machine. So while simpler and more convenient, the nutrients you get are also diluted to a certain degree. Here’s a quick and easy way of making papaya juice a home. This lets you gain the benefits of this fruit. And all you need is a reliable blender and some fresh papayas from the store. The enzyme Papain assists in breaking down the proteins from the food we eat. This allows us to enjoy proper digestion. As a result, our bodies are able to absorb more nutrients and energy from the food and drinks we consume. Aside from improving your digestion and absorption. 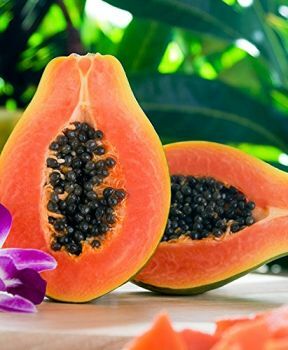 The fiber that’s present in the blended papaya juice helps prevent constipation. It also allows you to enjoy regular bowel movement. This keeps your digestive tract healthy. It’s also one of the reasons this juice has become a mainstay in many diet regimens for the elderly. Additionally, dietary fiber in the papaya juice adds bulk to the stool and protects against colon cancer. 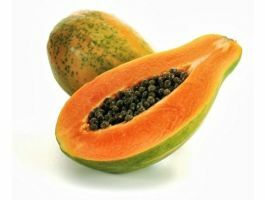 Papaya also helps reduce your risk of cardiovascular problems such as heart attacks and plaque formation in the arteries. It does this by preventing the oxidation of cholesterol. This fruit helps prevent cancers from developing thanks to its Vitamin C, A, E content. For extra measure, there is magnesium and other antioxidants as well – all having anticancer properties. Also, carotene and flavonoids are antioxidants that supports the body against destructive free radicals. Free radicals harm the body and damage cells making them prone to cancer development later on. If you’re looking for something that’s delicious, inexpensive and easy to consume, that loaded with vitamins with antioxidants, this could be the choice. This fruit juice helps lower inflammation and promotes bone health. It is also loaded with beta-carotene which prevents eye problems. Meanwhile the vitamin A contained therein works to repair damages of the eyes. 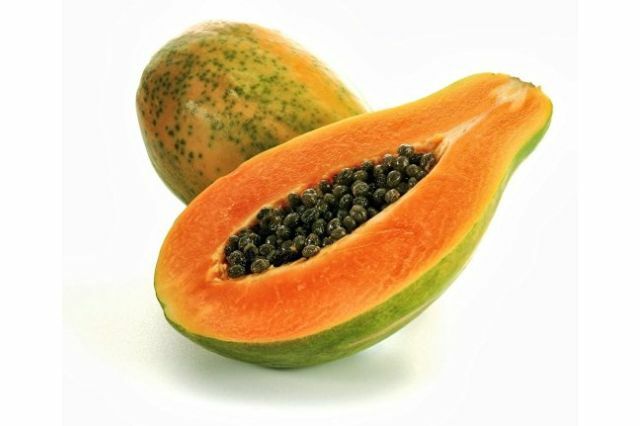 Chymopapain, an enzyme found in the papaya is frequently used as a treatment for back pain by patients in Orthopedic hospitals. The reason being, Chymopapain helps reduce inflammation and promotes healing. Feedback from patients treated with Chymopapain was always controversial, however, with some patients believing in its healing properties and continue to request this treatment from their doctors. Rheumatoid Arthritis which is one of the many Autoimmune diseases is also treated with Papain. Folate or Folic Acid is a vitamin that is necessary to life. It supports healthy brain tissue. It is likewise necessary for normal growth of babies during pregnancy. Folate also enhances and regenerates the nervous system of the body. The nervous system as everybody knows, is a network that runs from the brain to all areas of the body and works to transmit messages to and from the different areas. This lets us control our limbs and move about the way we want. The high vitamin A content the fruit has helps keep our skin healthy. The skin is the largest organ in the body and the Vitamin A is needed in tissue repair. It also helps slow down aging by destroying harmful radicals in its environment. Drinking papaya juice also helps heal arthritis or improve its symptoms. It can be consumed by diabetics in small amounts as it does not significantly spike the blood sugar level. Both potassium and sodium, essential electrolytes in our bodies, work to normalize the blood pressure. Each mineral counteracts the other during the process of muscle excitability which most times increases the blood pressure. Papaya juice, it’s all-natural, healthy, delicious and easy to make. Drink up!